Did you know that charitable giving has been increasing for six years straight? Today, contributions total over $373 billion annually. The growth of charitable donations is even outpacing annual GDP growth. As total donation amounts rise, online giving seems to be accelerating the fastest. While overall giving grew 1% in 2016, online donations grew 7.9%. How did your nonprofit’s results compare? Whether you’re falling behind the curve or simply want to set a new record this year, these tips are for you. Try these six ideas for nonprofits to improve conversions and increase online giving. 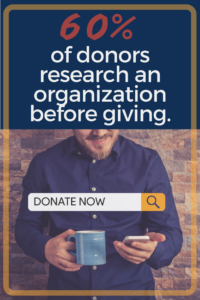 60% of donors research an organization before giving. That research doesn’t end with a quick visit to your homepage. More and more donors are delving deep into charity rating sites before reaching into their wallets. Sites like Charity Navigator and Charity Watch are happy to help, with up-to-date information on everything from nonprofits’ income statements to leaders’ salaries. How does your organization compare? Set a calendar alert to check these and related sites at regular intervals. Look for incorrect information or areas where your nonprofit isn’t getting a passing grade. While some concerns may not be a quick fix, a targeted digital marketing campaign, new points added to your FAQ page, or even an informative blog post can go a long way towards providing knowledge and building trust. When possible, use CSS instead of inline design controls. Use only one external CSS stylesheet. Reduce scripts and move them to the bottom of the page. Enable image compression and browser caching. Generate an optimized version of your code using PageSpeed Insights. Swap BMP and TIFF files for JPG and PNG formats. Reduce color depth of images. Crop and downsize photos before uploading. Make landing page redirects cacheable. Check for 404/410 errors and fix broken links. Don’t worry about tackling all these issues in a single day. Instead, set calendar alerts to measure and improve one or two issues every day or week. Need more in-depth advice on how to address these problems? Moz, The Daily Egg, and Cloud Living offer detailed guides on improving site speed. Have you heard of the “5 Second Test?” It’s a simple exercise. A user is shown a website for only five seconds and then quizzed on their impressions and what they remember. Conducting the test can tell site owners a lot about the efficacy of their design and also the usability of their site. But there’s one question nonprofits should ask above all others when running this test: can users get to a donation page within five seconds? No matter which page of the site a user is visiting, the answer to that question should always be yes. Placing a donate button above the fold on every page, or pinning it as a sidebar, is one easy way to achieve this. There’s no need to pummel visitors with multiple popups on each page, but the option to donate should always be visible. Try A/B testing different placements, button colors and styles, and calls to action to see which options lead to the most online giving. The fewer steps it takes for visitors to make online donations, the better. Donation forms present a unique opportunity to speed up the journey. How many fields does your donation form require? Can some of these fields be removed or made optional? Try streamlining and simplifying donation forms and watch conversion rates climb. How much of your online fundraising budget is dedicated to digital ads? Experienced marketers know that when it comes to gaining targeted impressions, programs like Google AdSense are hard to beat. However, successful campaigns and low CPCs can cause marketers to overlook another major driver of online donations: advertising on social media. Each social platform offers its own unique targeting options. Sites like Facebook also provide incredibly detailed options. Here, marketers can deliver campaigns to users who interact with similar charities online and those who have a history of online giving. Audiences can even target specific income brackets, purchasing habits, job positions, and hobbies. In addition to reaching ideal donors, social campaigns deliver traffic from users who aren’t actively searching for ways to give. Social advertising can’t and shouldn’t replace PPC search ads. 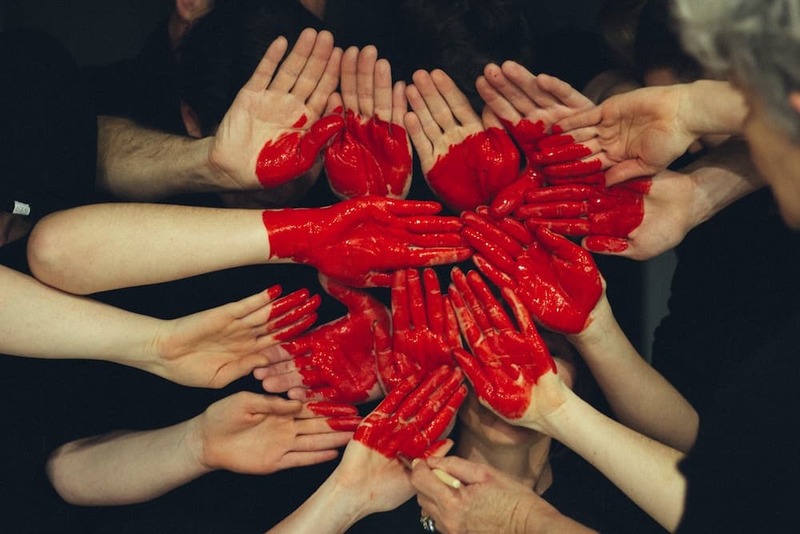 However, dedicating a small portion of digital ad dollars to social campaigns is a great way to reach new donors and keep current donors engaged to increase online giving. Today’s nonprofit marketers are shifting from a multi-channel mindset to an omni-channel approach. They realize that potential donors can and will be exposed to their organization through multiple platforms. These touch points need to work together to provide a cohesive story. Without a strong story and brand image, building trust and increasing online donations won’t be easy. Utilizing a professional brand marketing center can help. BlueSky ETO’s sophisticated, web-based marketing portals help streamline productions and improve marketing consistency to build trust and increase donations. These portals are an invaluable resource to marketers, designers, local chapter leaders and more. Tools like professional marketing templates also make creating cohesive ads for multiple platforms and locations a breeze. When brand compliance is nearly automatic, approval time is shortened. Current, relevant campaigns can be delivered quickly, leading to higher rates of online giving. 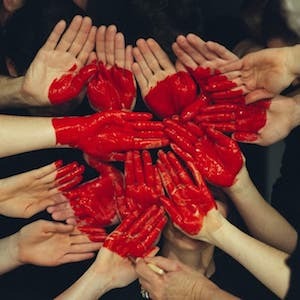 While these ideas for nonprofits can support any nonprofit’s goals to increase online giving, each organization faces its own unique challenges. Looking to create a more detailed plan of action tailored to your charity? Contact us for a free, personalized demonstration of BlueSky ETO brand management solutions based on your organization’s unique needs. Want to dive in on your own? Experience the easy-to-use power of BlueSky ETO’s software for yourself through our free live demo. And if you’re looking for more advice on nonprofit marketing and fundraising from an experienced agency, visit the Heroic Fundraising Blog. Today, nonprofit contributions total over $373 billion annually. Try these six strategies to improve conversions and increase online giving. Texting and mobile giving are so powerful that it’s amazing these technologies are still so underrated in the nonprofit community. SMS, for example, is truly a cinderella technology for nonprofits and social enterprises. Texting is cheap, fast and easy. Has almost zero barrier to entry. And is built into every phone. People in lower-income communities, not just in the U.S. but around the world, have been utilizing SMS to give to charity. We’ve been helping nonprofits use text messaging to raise funds since 2008. We offer a text to donate service that is affordable and effective. I have not started an online charitable non-profit site and I think that would not be considered at this moment. I did participate in a crowd-sourcing campaign before and I was amazed at how easy it was to reach out and help someone in need of money for a medical procedure. Thanks for sharing! I’ve been needing to research this myself. Now I have a better understanding of some options. Thanks to technology and internet everything is easy and can do online now. Although sometimes we are still skeptical on sharing our back info when doing online transaction. This article really convince me well. I’ve never tried starting an online charity or a non profit. I think it’s really nice that people can easily donate online though. There are plenty of people in need who could really use the help. I haven’t heard of the 5-Second Test, but it makes sense. I thought we had like 15 seconds to make an impression on a website. It’s also interesting to see the items that stand out to others, that we do not recognize when we are creating web content and websites. I need to keep this in mind. This was an informative read–I didn’t know much about this. Donating any way that you can is a kind gesture! I like to make smaller donations throughout the year! Online giving is becoming so popular now because of the advancement in technology. I prefer to give online, too, because it is convenient and easier. My cousins daughter is trying to raise money for a beauty pageant. I bet these tips would help her!! Thanks for sharing. This is so great! I love how the world is advancing! But call me old school, I personally love going to charities and donate my money and actually see where the money is going. It’s easier to give now with everyone more mobile inclined. I love the options. I do both online and physical. It’s so important to give back to the community when possible. These are great ways to help organizations that help others in need.